Officials urge Utahns to report  not retrieve  ailing birds. The number of bald eagles in Utah dying from a yet-unknown malady continues to grow, and the cases appear to be happening at a quicker pace. A juvenile bald eagle turned into the Wildlife Rehabilitation Center of Northern Utah in Ogden last week died Saturday and a family from Bountiful turned in another mature bald eagle with symptoms Sunday. 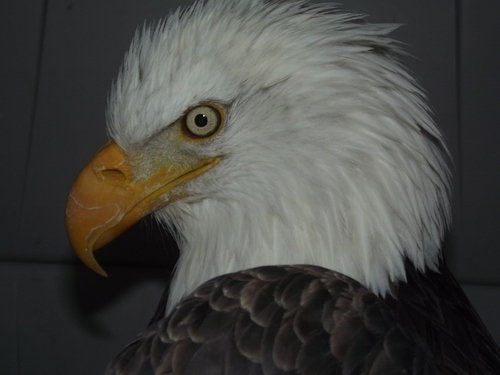 Twelve bald eagles have died in Utah since Dec. 1. Six died or were euthanized in rehabilitation centers after suffering from head tremors, lower extremity paralysis and digestive issues. Six were found dead  the state lowered the number from seven after realizing one had been counted twice  and more could be undiscovered. The malady so far appears to only be impacting bald eagles in northern Utah. DaLyn Erickson, with the Wildlife Rehabilitation Center of Northern Utah, has said she feels the sick birds being turned in and those found in the wild "are just the tip of the iceberg." The Utah Division of Wildlife Resources (DWR) is looking at all possible scenarios for the deaths and are awaiting necropsy results on bald eagles sent to the National Wildlife Health Center in Madison, Wis. Results may come later this week. The eagle found east of Bountiful is showing similar symptoms to the others that have died, but may also be suffering from something different. "He does have a pellet in his stomach and it is difficult to determine if he is suffering from lead poisoning or the other thing," Erickson said. "It is possible that he has both." Some of the dead eagles have been preliminarily tested for lead poisoning and the results showed that was not likely the main cause of death. The family that recovered the eagle Sunday shot video of the experience and shared it with KUTV-Channel 2. 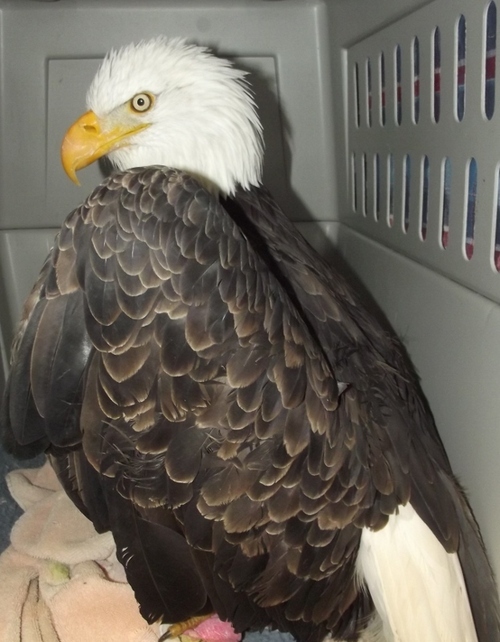 While wildlife rehabilitation officials appreciate the effort to save the eagle, they warn that handling sick or injured wildlife should be left to those accustomed to dealing with animals. "They did an amazing job, but I would encourage people to report where the animal is. 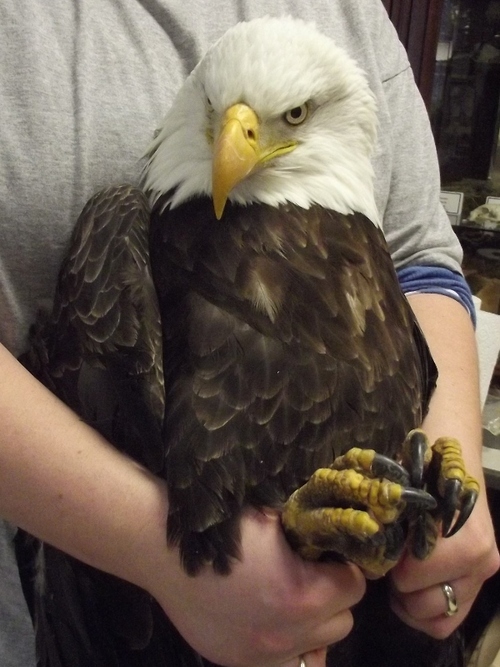 They could have been seriously injured by the eagle&apos;s talons or beak," Erickson said. Wildlife officials ask people who spot distressed or dead eagles or other wildlife to contact local DWR offices (Ogden, Vernal, Springville, Cedar City and Price) with the location of the animal. The Help Stop Poaching Hotline 1-800-662-3337  is another option on weekends and holidays and after hours. Erickson requests that people make sure the eagle is obviously sick before contacting the DWR. "We are getting a lot of reports and many of them are just sightings of eagles," Erickson said. "The DWR shouldn&apos;t get called out for every sighting; only those where the animal is definitely affected." Eagles gather in Utah each winter and tend to stay where food sources are easily available. Farmington Bay Waterfowl Management area in the Great Salt Lake marshes is a good example. Many of the affected eagles have come from the areas around the north end of the Great Salt Lake.